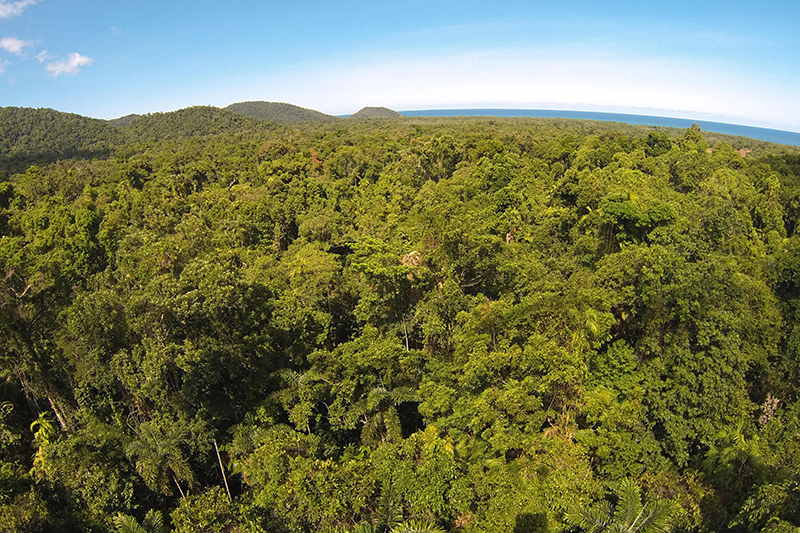 In our recent publication “Stem and leaf hydraulic properties are finely coordinated in three tropical rain forest tree species”, we studied plant hydraulics at the Daintree Rainforest Observatory in Far North Queensland and compared a number of hydraulic traits (including hydraulic vulnerability of stems and leaves, pressure-volume relations and in situ water potentials) in three tropical rain forest species. We found that stems and leaves were finely coordinated towards embolism avoidance even in a wet rainforest environment. Despite narrow hydraulic safety margins between leaf and stem P50, hydraulic failure in leaves would protect stems from extreme water potentials and embolism in case of drought. Our findings provide evidence that even trees from humid environments operate near their hydraulic limits and may be threatened by increasing drought. The full paper is available in Plant, Cell and Environment and can also be requested on Researchgate.